Welcome to UNCW and Randall Library! This is your guide to the information literacy resources and activities you will need for Transfer Seminar. 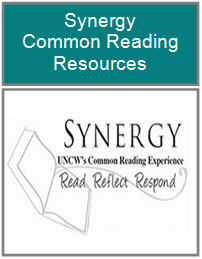 Please feel free to contact Von Yeager, Student Success Librarian ( yeagerv [at] uncw.edu ) with any questions. Please use the links below to complete the BUILD Tutorial, the Virtual Tour of Randall Library, and the Quiz BEFORE you attend your first library session and the CAARP Library Assignment AFTER your second library session. Check with your Transfer Seminar instructor for specific due dates. Are you a UNI 201 instructor? Visit our "Resources for Transfer Seminar Instructors" page. If you need help with a specific course or topic, please check out our page with subject guides, course guides, and online tutorials! How do you add money to the UNCW One Card for more iPrints? You can add money to your Seahawk Buck$ account on your OneCard at the "Value Transfer Station" machine near Circulation in the library or online at uncwonecard-sp.blackboard.com/eAccounts/. During business hours, Auxiliary Services can also accept money to be added to your account. Randall Library has a total of 14 iPrint stations. On the first floor there are 12 iPrint stations, including 1 next to Port City Java Coffee Bar (all identified with an iPrint banner). There are 2 copiers which can be used with iPrint; these can be found in the Learning Commons. There is also a visitor iPrint station located near the visitor computers. On the second floor, you can find an iPrint station by the top of the front stairs and one in the Graduate Computer Lab. Please see the Randall Library floor maps for iPrint locations. How do I check out a laptop to use in Randall Library? Laptop computers are available for check out at TAC (located on the first floor of Randall Library). You must provide your student ID to check out a laptop, and you must keep the laptop in the building. They can be checked out for 6 hours. View available networks on your device and select Hawkwifi. Enter your UNCW username and password. Accept security certificate, if prompted to do so. Domain is UNCW if prompted to enter it. View available networks on your device and select SeahawkGuest. Open a browser, you will be redirected to the access agreement page. If you are not automatically redirected, you can type 1.1.1.1 into the address bar and press enter to reach the agreement page. If you agree to abide by the listed conditions, click accept. Your connection will be active for 1 hour, bandwidth limited, and unable to access UNCW resources. You will have to disconnect, reconnect and re-accept the agreement after the hour expires. This secure network can be used by visiting faculty, staff and students if their educational institution is a participant. All UNCW faculty, staff and students can securely access the Internet from any other participating educational institution worldwide via the eduroam network. See UNCW's ITSD "Connect to UNCW's Wireless Networks" webpage for more assistance. You can print from any computer in the library through the campus iPrint system and pick up your print job from any iPrint printer on campus. For detailed instructions, please visit UNCW's How do I use iPrint page. For students, faculty, and staff at UNCW, there is no limit to the number of books you can check out from the General Collection. Featured new books, DVDs, VHS tapes and CDs have a limit of 7 items checked out at one time, in any combination (for example, 4 DVDs and 3 CDs). Non-university borrowers may check out a total of 4 items from any part of the library's collection. The only exception to this is Government Documents; all users may check out an unlimited number of materials from Government Documents. Contact us via chat or email. Group study rooms are available for groups of two or more on the first and second floors of the library. See first floor map and second floor map for locations. They can be reserved online via our Group Study Room Reservations calendar. The rooms may be reserved and used by currently enrolled students, staff and faculty of UNCW. Reservations are for a maximum of two hours a day per group, and no more than 2 reservations per group per week. View our Group Study Room Use and Reservation Policies page for more information. Are you a Transfer Student instructor? 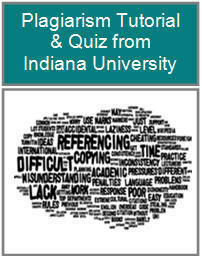 Visit our "Resources for Transfer Student Seminar Instructors" page.